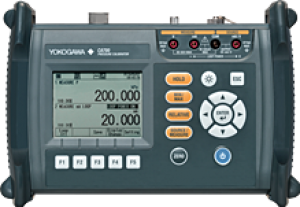 The CA700 Pressure Calibrator has a basic accuracy of 0.01% of reading on pressure measurement and 0.015% of reading on Current/Voltage source/measurement, which makes it the most accurate calibrator in the portable calibrator class. The CA700 also has the highest resolution and widest range of any hand held portable in its class with resolution of 0.001 kpa (200.00 kpa range) and a resolution of 0.0001 psi (29 psi range). The CA700 supports "As Found", "As Left" data and error rate (%). In addition the CA700 stores calibration procedures for pressure transmitters and pressure switched which allow strong support for field calibration and maintenance work. The CA700 is housed in a robust IP54 dust proof and water proof case for use in harsh environments. Available in three model ranges which includes low pressure, medium pressure or high pressure with selectable high-performance hand pumps for each range. Features High Accuracy and Long Stability Achieves the highest accuracy in the portable class Basic accuracy: Pressure (measurement) / 0.01% rdg. Current/voltage (source/measurement) / 0.015% rdg. Rangeability Achieves the highest resolution and widest range in the portable class 0.001 kPa (200.000 kPa range) 0.0001 psi (29 psi range) User Support Strong support for field calibration and maintenance work Calibration procedures of pressure transmitters and pressure switches are embedded. “As Found”, “As Left” data and error rate (%) can be recorded. Field Use IP54 dustproof and waterproof robust case enables use in harsh environments. Accessories Three high-performance hand pump models for different pressure ranges are available. Applications Field Calibration of Differential Pressure and Pressure Transmitters Calibration of pressure transmitters is required to accurately measure the input and output values and to calculate the error rate. The CA700 ensures reliable calibration with its function to accurately measure the input and output values of pressure and current. Additionally its embedded calibration procedures enable users to perform certain calibration following the prescribed procedure. Pressure Switch Test A pressure switch test measures the pressure at the time when the contact opens and closes and the resistance at the time when the dead band contact closes. A test procedure is embedded to enable users to carry out a test following the prescribed procedure. Check and I/O Adjustment of an Electro-pneumatic Converter Input and output adjustment of an electro-pneumatic converter is carried out by applying rising and falling currents of 0, 25, 50, 75, and 100% of the span. A reliable test can be carried out with the CA700 that has a 4-20 mA step function for signal generation and a capability to accurately measure the generated pressure. 20 mA SIMULATE (Two-wire Transmitter Simulator) The CA700 can also be used as a transmitter simulator to carry out a loop test. It can absorb (SINK) the set current from an external voltage generating device (e.g., a distributor system or PLC) of instrumentation equipment. 4-20mA current can be sourced with an accuracy of 0.015% of the reading. Two-wire Transmitter Loop Check DC mA signals can be measured by supplying power to the transmitter from a 24 V DC power supply. DC mA signal measurement and zero-point check can be performed with an accuracy of 0.015% of the reading. A 250-ohm resistor for HART and BRAIN communication is included in this calibrator so there is no need to attach an external resistor when connecting to a handy terminal. Input Command Check and Adjustment of Recorders and Controllers Instrumentation loop test and operation/command check can be performed by sourcing DC 1-5 V / 4-20 mA instrumentation signals with an accuracy of 0.015% of the reading. Furthermore, two patterns of linear sweep and step sweep can be selected (the sweep time can be specied from 15, 30, 45, and 60 sec).